Jody Murdock - Follow the progress of Jody Murdoch as he restores an old 1941 Farmall A tractor....Join Jody as the restoration takes place. 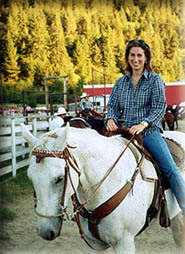 Leslie Desmond - Leslie Desmond of Arizona is a lifelong horsewoman, international horsemanship coach, publisher and co-author of "True Horsemanship Through Feel" the book she co-wrote with Bill Dorrance. Information about the author and the book can be found at www.lesliedesmond.com. Liz Twan - I was born and raised in Williams Lake, BC, the heart of Cariboo Cowboy country, but was a town girl through and through, never even owned a dog. After graduating from high school in Williams Lake, I went on to College and University in Vancouver. During the summer, I'd come back to Williams Lake to work. That's when I met a "cowboy", at the Williams Lake Stampede barn dance, and the rest "as they say" is history. My husband's family has a rich history in the ranching and rodeo sector of BC. Now that I have the opportunity to see the cowboys up close and in real life, I admire the dedication and day to day commitment they give to a job that will never bring "glory or riches". People (men & women alike) who "cowboy" for a living, genuinely love what they do. They ride out on the most beautiful days, likewise the most miserable days, they tackle most anything and "make do" when they lack equipment necessary for the job. They are masters of improvisation and have some of the strangest senses of humor I've ever witnessed. I always had a love for history and that, combined with stories just happening in front of me every day, prompted me to start telling them. Best of all I hardly ever have to leave home to do it. Mike Puhallo - The late Mike Puhallo had been a working cowboy, a saddle bronc rider, a packer and horse trainer. He ranched in partnership with his younger brother, as well as writing and painting western oils. Mike's poetry still reaches out and touches western people where they live, through the experiences and feelings that are shared by those who live close to the land. The reason his poetry is so "real" is simple; this cowboy had "bin there an' done that". Sharlene Puhallo - Shar attended The University College of the Cariboo, where she made the Dean's List in her first semester. 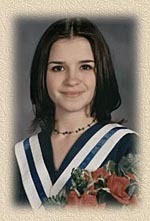 She was an honour student all through High School winning awards as the top student in her school in both Drama and Science. In addition to her scholastic achievements Shar has been very active in Girl Guides, 4-H Club, and Riding. She has a couple of cows and 3 registered Quarter Horses of her own. Shar is a very serious minded young lady who believes Anything Worth Doing is Worth Doing Right!! Trudy Frisk - Trudy Frisk, now a Kamloops writer, was brought up in a log cabin on her family's Valemount, BC homestead. During her childhood the valley was isolated, accessible only by train. As a result, Valemount was an independent, self-sufficient community, where neighbors could be relied upon in any emergency. Trudy has written extensively on a variety of topics. Since 1991 she's been a correspondent for the journal, Wild Earth, published in Vermont.